There is something about those three words that capture the imagination like no other powered pursuit. Think about it. Formula One could be a vitamin supplement. NASCAR something nasty you caught on holiday. As for drag racing…well that is best left to the imagination. But Land Speed Record leaves no doubt as to the intention. And if you meet anyone brave enough to be engaged in the singular pursuit, you’ll have no doubt about their intention either. The focus is unwavering. The commitment total. Why are they doing it? Because it’s there. The ultimate challenge. Gabriel Uttley, former Manx Drand Prix competitor and ultra marathon runner is one such a man. No starry eyed dreamer but a Yorkshireman in a race against time to capture a record he’s been chasing for almost 20 years. The Motorcycle Land Speed record. To launch his LSR attempt called Angelic Bulldog (we’ll explain later), Gabriel gathered a band of brothers who have been working with him for well over 10 years. From a whole range of backgrounds, F1 engine designers to CFD specialists, they have sought to overcome a modest budget with innovation, enthusiasm, stubborn determination and towering ambition. Now they say “The older you get the wiser you get” and with the many trials and few tribulations that Gabriel has experienced over the past ten years, he’d probably agree. But he is a man on a mission with a vision. 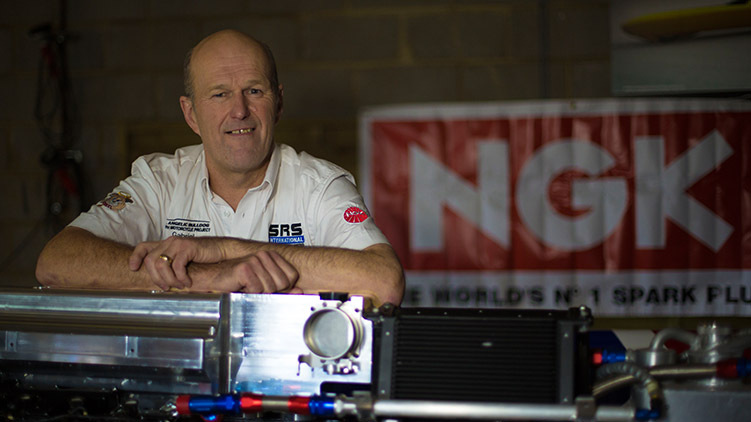 He wants to capture the world land speed record, which means exceeding an average 376mph (the current record) over two runs. And he won’t give in. 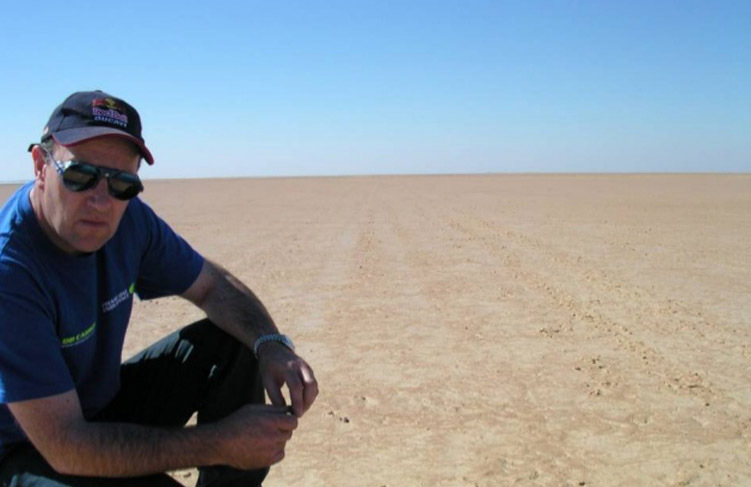 Not surprisingly, breaking a Land Speed Record isn’t typically something you achieve overnight. Even with money there are no short cuts. Check out Pistonheads. See a section for second hand LSR bikes? No. If you want to do it you have to go the long way round and go it alone. Start from scratch. Without a major sponsor, Gabriel has had to rely on a large portion of goodwill and not a small amount of his own money to get the project as far as he has. And that is where the problem lies. “People get incredibly fired up when I talk to them about the project. They say they want to get involved and do and we are so thankful to them. But truth is, for everyone who delivers on their promise, there’s probably at least three who don’t. Now I totally understand that. Circumstances change, that’s life. But for us it means a dead end and more time lost. Frustrating isn’t the word”. “First there was the guy who promised me Triumph Daytona 1200cc engines, then I looked at Honda Blackbird engines, even bought them, but that came to nothing when it became obvious the rear end of the streamliner would be too wide, right where it needed to be narrow. My main spec all along for the streamliner is that it cannot be any wider than 23 inches…my width! This has remained a constant, even though it has caused many a headache!!! the lateral torque produced by the turbine could be lethal if anything went wrong. Next I moved onto turbines, actually agreed a price for one with a man in Chicago. Then he persuaded me to go piston engine as he felt that the lateral torque produced by the turbine could be lethal if anything went wrong. Then we agreed with a company to use one of their V8 motorcycle-based engines. 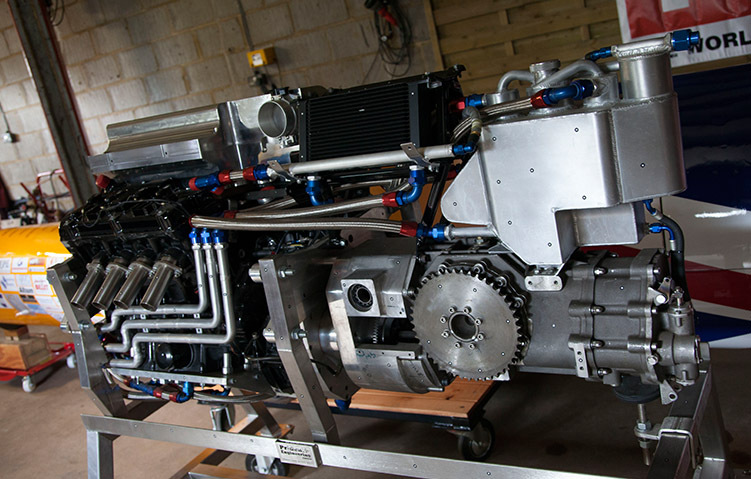 Were supplied with a dummy engine and gearbox and had these for two and a half years while we designed the chassis. When we were ready for the real engine, they turned “funny”, said to use our engine we want £59,995. And not even a please!!!! …you’re travelling the length of two football pitches every second, aquaplaning at that speed doesn’t bear thinking about. Well the deal didn’t pan out, so team member Dan Dole stood by his promise. Having worked on designing Formula One engines, as well as those for Le Mans endurance racers, Dan brought his not inconsiderable experience to bear on the challenge and so the Dan-Tec 8 – 23 SC engine was born. At last, engine sorted! With that major hurdle overcome, now all the team needs is the chassis fabricated, the electrics for the engine management system finalised and then it’s high ho silver and off to the salt flats of Bonneville or possibly follow in the footsteps of Richard Noble to South Africa. Gabriel too is aware of the risks. Running at those speeds you have to be. But he doesn’t waste time dwelling on them. He’s focussed on getting his team on the salt. And when he does, Gabriel has something up his sleeve that he thinks will take his Angelic Bulldog way beyond the generally accepted 400mph that it will take to secure the record. Maybe by a margin of 10% or more. Will he succeed? Well if he can convert commitment into horsepower then it’s job done. But ultimately innovation and invention can only get you so far. Cash is still king. And that’s one thing the team don’t have in abundance which is why the search is on for more sponsors. Or angels? £250,000 will do the job and bring the title back to Britain. Currently the big breakthrough that contenders are aiming at is breaking the 400mph barrier. A figure Gabriel is confident his Bulldog is capable of. Not being first would be a disappointment. But at the end of the day it’s the Land Speed Record Gabriel’s chasing. That is the jewel in the crown. What drives him and his team on. The Angelic Bulldog? As yes we forgot to explain. Angelic after his name Gabriel. Bulldog? Well you probably got that one already. 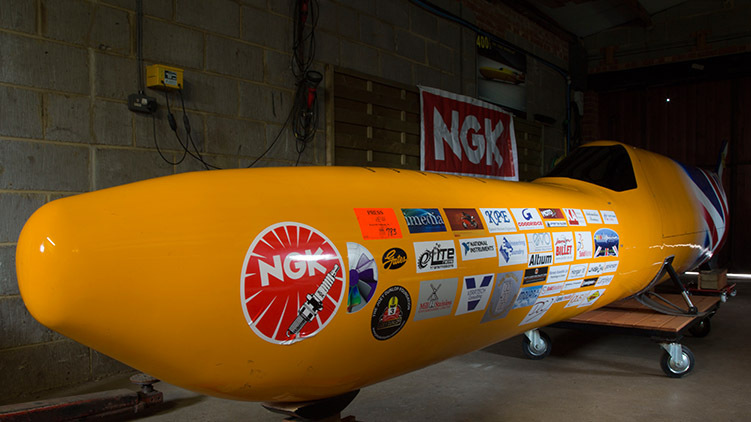 For news of progress on the record attempt visit the Angelic Bulldog website.